it is a very well done extension and retouching of the scan. clean and simple. You really did a great job. 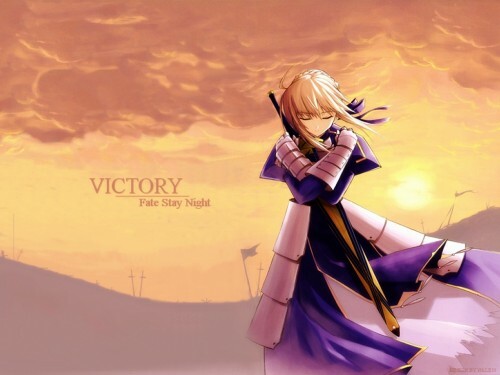 Not to mention that Saber is one of my favorite characters and a Fate wall is always welcome. Thanx! Keep up the good work! For sure with her scabbard she'll aways win. Nice wall. Wow, this is awesome! I love the background, it's so pretty! Nice and simple, great wall you got here!